Inicio DESTACADOS1 Aprende inglés con los grandes de la historia. Aprende inglés con los grandes de la historia. 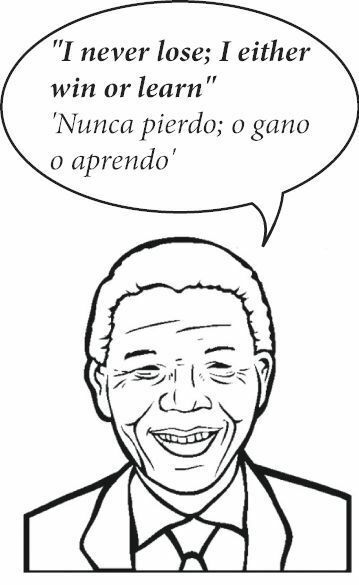 El mes pasado escuchamos a Martin Luther King, Muhammad Ali, Malala y Mark Twain. Hoy tenemos otros grandes de la historia. Elige la opción correcta en las biografías de los siguientes personajes e inspírate con algunas de sus frases motivadora. Born in 1929 near Brussels to a (1) wealthy/weary British-Austrian father and a Dutch aristocratic mother, Audrey later moved with her mother to the county of Kent (‘The Garden of England’), where she discovered her love for gardening. She (2) begun / began as a ballet dancer but was soon moved to acting. “Breakfast at Tiffany’s” is one of the most famous films of Hollywood’s golden age. Shakespeare was – and still is – the giant of English literature. He arrived (3) to / at London from a provincial town, and settled there for the rest of his life. It is widely believed that he never saw the sea. (4) Nevertheless / Therefore, his imagination was able to travel across countries and through the years. He was able to understand the minds of (5) thiefs / thieves and kings, bring to the stage the lives of soldiers, ladies of the court and star-crossed lovers. He died in 1616, but his influence still (6) stays / remains. To learn more about Shakespeare and the mark he left, read my second chapter on the History of English in profesornativogratis.com/blog. “Estamos hechos de la misma sustancia de la que están hechos los sueños, y nuestra pequeña vida se encierra en un sueño. Lawyer and Civil Rights activist in South Africa during the period of of racial segregation, Mandela was given a life sentence for sedition and sent to the infamous prison on Robben island. He was finally (7) left / released from jail after 27 years when ‘Apartheid’ was finally abandoned. He took part in the birth of democracy in that country and became President from 1994 to 1999. He was (8) rewarded / awarded the Nobel Peace Prize, and died in 2013. Para las respuestas, visita mi página profesornativogratis.com/ask y mándame tus dudas. Artículo anteriorLa Batallona: el cara a cara entre leoneses y asturianos. SE BUSCAN VALIENTES PARA DEFENDER EL ORGULLO LEONÉS EN SOMIEDO.